Albert Blackie enlisted in the 2nd Battalion, the Gordon Highlanders in August 1900, a month after his 21st birthday as private 7510. 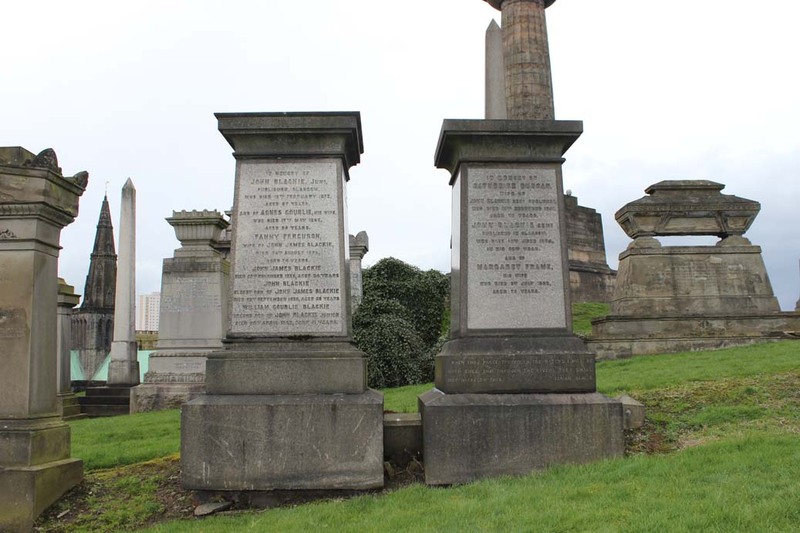 He had already seen service with the 1st Lanarkshire Rifle Volunteers. He served 12 years with the colours and left in October 1912 as a sergeant. He spent most of his time (9 ½ years) in India as the 1911 census shows. Blackie returned from Canada in October 1914 and was commissioned into the 16th HLI on 5th November 1914 as a Second Lieutenant and was promoted Lieutenant in February 1915. He crossed with the Battalion to France at the end of November 1915. The Battalion underwent a further period of training before going into the trenches for the first time in December 1915. During May and June 1916 the Battalion went through an intensive period of training and preparation in preparation for the coming Battle of the Somme. At the Somme they were part of 97th Brigade, attacking from the south-eastern corner of Thiepval Wood, and the Brigade was to attack the German line between the Leipzig Salient and Thiepval. Their first objective was the “Wunder Werk” and they were supposed to end up at Mouquet Quarry, well over a mile away from their start point. They came under heavy machine-gun fire almost immediately and had no choice but to fall back. By the end of the day the Battalion had lost 20 officers and 534 men, four-fifths of its officers and two thirds of the men. Blackie seems to have been allocated the post of Brigade Bombing Officer for the assault and seems to have survived unwounded. The Battalion spent several months recovering from the mauling of the 1st July and didn’t see further serious action until the Battle of the Ancre in November 1916. The Battalion suffered heavily again but Blackie is not listed amongst the wounded. After a relatively quiet period the battalion was in action again on 14th April 1917, part of the Battle of Arras, and gained their objectives with only light casualties. The following day the battalion continued to hold its position and was heavily shelled by the enemy resulting in Blackie being wounded. 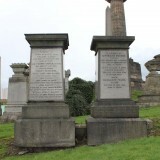 Son of John James and Fanny Ferguson Blackie, of 24 Hamilton Park Terrace, St. James’s St., Glasgow. Albert Blackie was a member of the Blackie publishing dynasty. 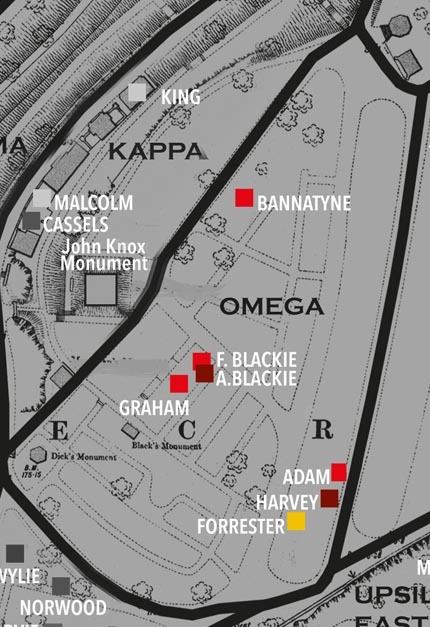 His father, John James Blackie, was the eldest son of John Blackie, jun who, in turn, was the eldest son of John Blackie, senr. John, jun was a partner of Blackie & Son but none of his sons seem to have been connected with the business after his death. Blackie sailed for St John, NB in April 1913 and returned from Canada, via New York, in October 1914. Chalmers, Thomas (ed) A Saga of Scotland. History of the 16th Battalion the Highland Light Infantry (City of Glasgow Regiment). 1930.